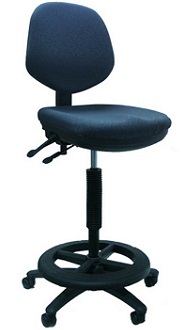 Ace drafting stool with back and footring. Sturdy construction for all day use. Stable non-slip footring. BIFMA standard.